YuriBib - The revolutionary Bib and Highchair Cover! Announcement Don't forget to follow @YuriBib on Facebook and Instagram for awesome updates! Don't forget to follow @YuriBib on Facebook and Instagram for awesome updates! 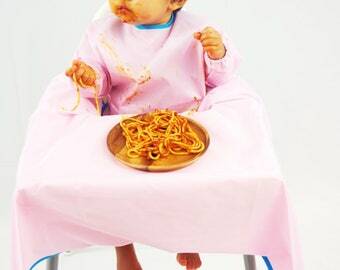 PINK YuriBib - Baby Sleeved Bib & HighChair Cover for mess-free meals! GRAY YuriBib - Sleeved Baby Bib & HighChair Cover for mess-free meals! RED YuriBib - Sleeved Baby Bib and HighChair cover for mess-free meals! I didn't capture a photo but this is a lifesaver! 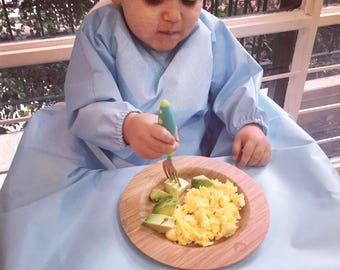 NAVY YuriBib - Sleeved Baby Bib & HighChair cover for mess-free meals! Love it! Good quality and fast shipping! Final days of October- get 10%off a YuriBib (all colors qualify)!! 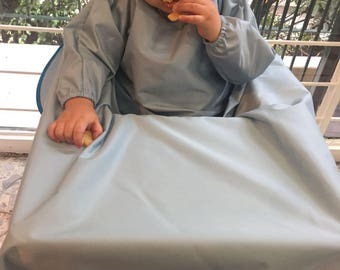 GRAY YuriBib - Baby & HighChair cover for mess-free meals! We launched new colors so that's mean a special discount for YOU!! Hurry - offer ends next Saturday at midnight!! 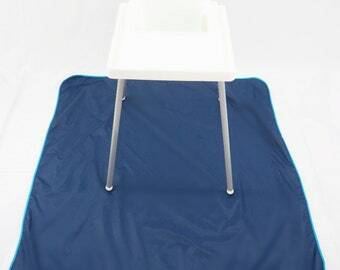 BLUE YuriBib - Baby & HighChair cover for mess-free meals! YuriBib was founded on my passion for food…and my hatred of cleaning! When my son started eating solids I was beyond excited to explore new flavors, textures, and cuisines with my lil’ future foodie. But the excitement didn't last long when I realized how short meal times were compared to how LOOOONG clean up was. I loved watching my son explore his palette but then bathing him after EVERY MEAL or changing into yet ANOTHER outfit, followed by cleaning the high chair tray…then the seat… then the straps…then the floor…AGAIN and AGAIN and AGAIN…are you kidding me?!?! With a squirmy baby on top if it all?!?! No. Freakin’. Way. I was about to throw in the towel, but instead I got out some fabric and created the ultimate solution to saving my own sanity. And so the YuriBib was born!! So to all the mamas and papas and grandparents and caretakers out there – may the YuriBib save you a bit of sanity, a lot of time cleaning, and bring the joy of mealtimes back into your lives!